An often-overlooked feature of central Santa Fe is The Cross of the Martyrs. It is an easy destination for an evening walk from downtown Santa Fe. The vantage from the top offers dramatic views of The Plaza and entire valley but the peek into the history of the oldest capital city in the United States is the best reason to make this walk. The walk is not an arduous climb but does take moderate fitness. The inclined brick walkway is a series of switchbacks interspersed with steps that climb to the ridge above Paeso de Peralta in Hillside Park. The project was a gift to visitors on the occasion of the 375th anniversary of Santa Fe. (In 2010 Santa Fe is celebrating its 400th anniversary) There are handrails and sure footing on the commemorative walkway built in 1986. The good news is that if you become oxygen challenged there are ample reasons to stop, read and catch your breath. A series of display plaques offer an interesting diversion and a chance to recover from Santa Fe's elevation of more than 7,000 feet above sea level. The twenty plaques give walkers a glimpse of the events that helped shaped Santa Fe into a blend of three cultures. The walk will take you on a mental journey through history from 500 AD to the modern era. At the top of the walkway is the brick prick plaza and the steel cross that was erected to honor the 21 Franciscan Friars killed in the Pueblo Revolt of 1680. The Pueblo revolt was a mass insurrection by natives of the area pueblos against the Spanish interests. This coordinated attack of all Spanish settlements of northern New Mexico was organized at the Taos Pueblo and led by Popé, a medicine man from the San Juan Pueblo south of Taos. Popé became the ruler of all the pueblos of New Mexico for a dozen years as result of the successful revolt that killed 400 Spaniards and caused the survivors to flee to El Paso del Norte (El Paso, TX.) While the revolt did not remove the Spanish from the area permanently, it did cause changes in the way the Spanish dealt with the Pueblo Indian after 1692. 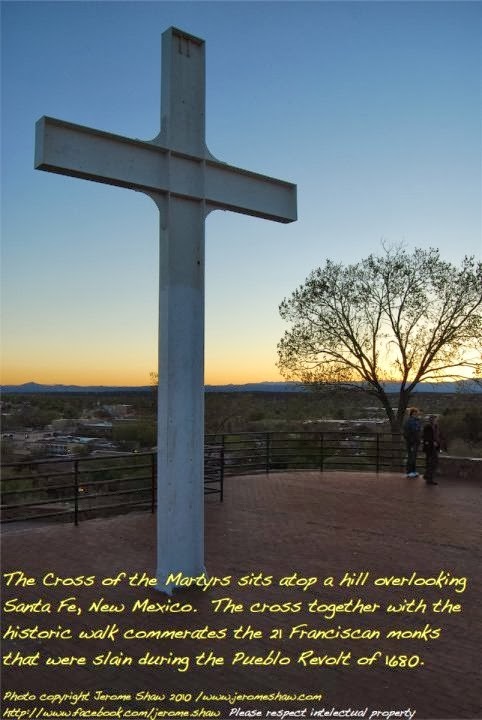 The cobblestone platform that surrounds the cross is a wonderful place for reflection, or to take in the views of expansive homes along the ridges behind the cross or to make sunset photos of Santa Fe. To reach The Cross of the Martyrs from the Plaza area take East Palace Avenue in a southeasterly direction to Otero Street. Go left on Otero (northeast) approximately ¼ of mile. 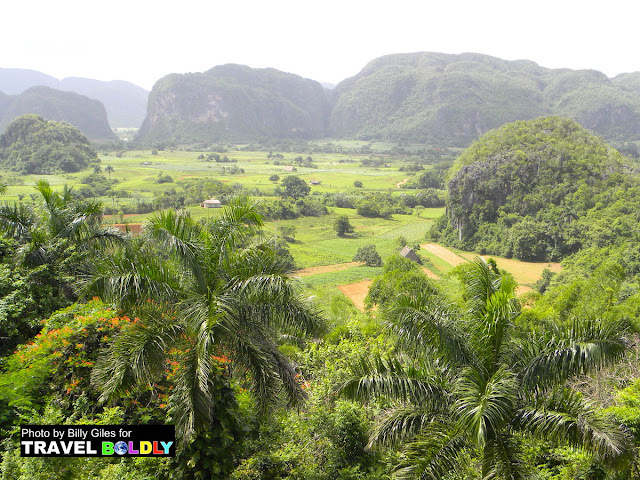 You will cross East Marcy Avenue before reaching Paseo De Peralta. Turn right on Paseo De Peralta. The entrance to the walkway is on your left approximately 400 feet ahead. Legal parking places are at a premium. On Fiesta weekend there is candlelit procession to The Cross of the Martyrs from Saint Francis Cathedral after a special Mass. Fiesta weekend is celebrated the weekend after Labor Day.